Dr. D. Milton Salzer received his D. D. S. degree from the University of Illinois College of Dentistry, where he also served on the faculty for more than 8 years, as an Assistant Professor of Prosthodontics and Oral Diagnosis. For 15 years he was on the Adjunct Medical Staff of Methodist Hospital of Chicago. He has been awarded a Fellowship in the Academy of General Dentistry, the International College of Dentists, and the American College of Dentists. Dr. Salzer received the Meritorious Service Award from the Alpha Omega International Dental Fraternity, the Ted Weclew Award from the international College of Dentists, and the William F. Tower Award from the University of Illinois College of Dentistry. He also received the Distinguished Member Award for community service and service to profession from the Illinois State Dental Society, where he continues as Editor of the Illinois Dental News. 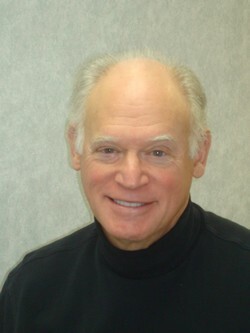 in addition, he has served in many capacities for the Chicago Dental Society Mid-Winter Meeting. Dr. Salzer's general practice has an emphasis on restorative dentistry, cosmetic procedures, including bonding, veneers, implant procedures, and fixed and removable prosthetics. His personal approach to patient care and his deep commitment to their oral and general health has been hallmark of his practice.